We got our hands on Sonic Forces at the Nintendo booth since it went pretty quickly. No pun intended. There were three options with the Sonic Forces demo. There was the Sonic Stage, the Classic Stage, and the Avatar stage. I was a fan of Generations, namely the Classic style levels, but it was unfortunately mislabeled. When I chose Classic, it definitely was Classic, but it wasn’t an actual stage. It was a boss fight. This was actually kind of upsetting because after we finish the stage, we’re done with our session. That aside, the boss fight itself was reminiscent of the original first boss fight in both Sonic the Hedgehog and Sonic 2. It was a tad harder though, as the rotating saw blade Eggman swung around was more difficult to predict. On top of that, when you get hit and you lose your rings, you can’t recover a single one of them. 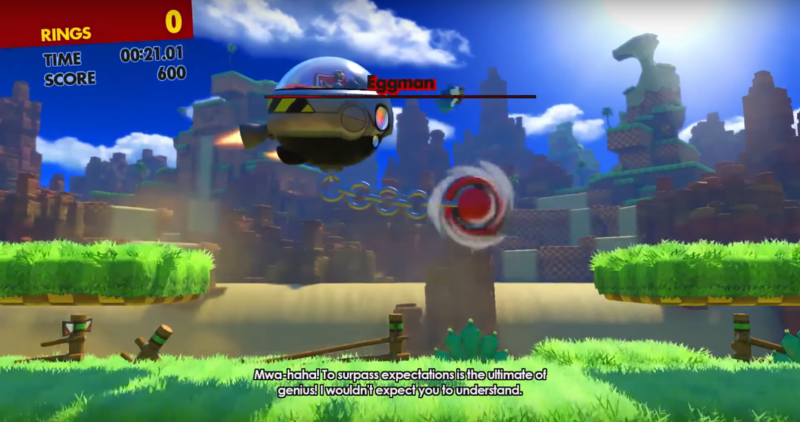 After dealing with Eggman and his rotating blade, the boss had a second phase. The machine zooms into the background throwing drills and other random projectiles at you, and the way to take out the boss this time is to knock some of the boulders back at it. Before long, we took him out, and it was over. We also got a chance to try the standard Sonic level, and it played like any other first level in a modern Sonic game. The gimmick now is this strange aura that covers Sonic and he can use it to virtually make himself indestructible, though it’s not quite Super Sonic. The Avatar Stage was all about designing your own character, but we didn’t bother with that. We have our reservations on what to expect from the game, based on failures in past modern Sonic titles, but this is something we’ll definitely keep an eye on when it releases by the end of the year. 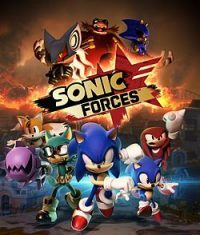 We got our hands on Sonic Forces at the Nintendo booth since it went pretty quickly. No pun intended. There were three options with the Sonic Forces demo. There was the Sonic Stage, the Classic Stage, and the Avatar stage….